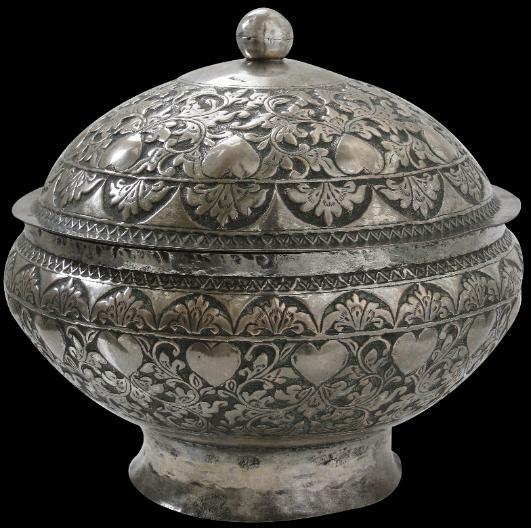 A silver alloy bowl and cover chased with scrolling creeper and other plant motifs, as well as an unusual frieze of heart-shape motifs on both the base and the cover. The base sits on a slightly flared foot. The domed cover has a hollow spherical finial.